A husband and wife in Baderzar took their little daughter to the mountains, and kept her in a cave. They took food and other things for her in that cave but they kept her hidden from the eyes of the other villagers. I do not know how long this went on for before she was discovered by a shepherd. The villagers then found out, and soon this news spread to the kharijis working in Sangemasha. The came to the village, and went to the cave where the girl was being kept by her parents. They found out that she had leprosy. The khariji took her to Sangemasha, and then to Karachi in Pakistan for treatment. People say she received treatment for years in Karachi, and she was cured. 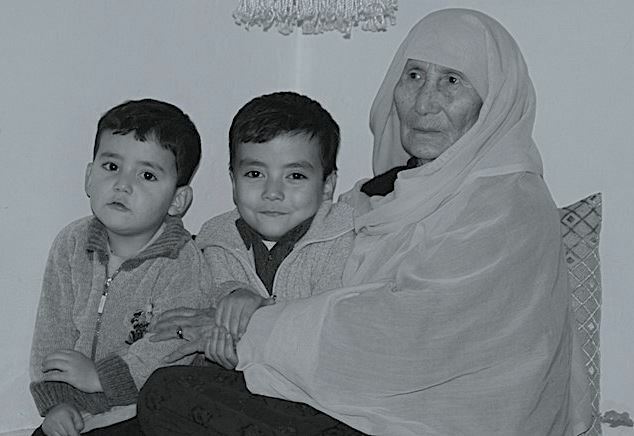 In Karachi she met and married another leprosy sufferer from Jaghori. They settled and became rich. The girl’s parents tried to contact her but she kept them out of her life. Leprosy was the big terror of our days. People thought leprosy sufferers were cursed. They hid the victims or took them to the mountains where they often died and were eaten by wolves, bears and jackals. People who contracted leprosy were considered cursed, their families were cursed, and their villages were cursed. It was terrifying. When the khariji doctors first started visiting villages to treat people, some villagers pelted rocks at them, and chased them out of their villages because they did not want others to find out. The kharijis stayed in Sangemasha for many years and visited all the villages to treat people. They saved many people, and removed the terror of leprosy from our lives. Many women died during childbirth, many more children never got the chance to become adults. The ills that are today cured by taking one of those tablets you people keep in the fridge, have killed so many people in my lifetime. One evening someone would complain of a stomach ache, the next morning they would be dead, and by that afternoon, he would be buried in Paas-e-Gardo. People did not know better. All medications in access were herbs found in the mountains around us. Sometimes the rich families travelled to villages days away and brought with them a doctor on the back of a donkey. He instantly became the main attraction in the village. I remember people used the same injection for many people in many villages, and was kept with a trusted person. Only the hooshyaar knew what went into it. Your father was away. He was too busy with politics and the war. He barely had any time for his own children. At noon on one day you became very ill. You turned pale, began throwing up and it looked like you were going to pass out. We had already lost your brother before you. It alarmed us all. We sent for your maternal grandfather. He was unwell, and could not show up with his donkey to take you to the clinic in Tameer. I did not know better. I picked you up in my arms, headed out, headed up for the pass, and began running towards Tameer. You could not hold your head, and it swayed from side to side. I kept running ahead, crossed the pass, ran down the hill, into the little valley and all the way to Gardon-e-Kosha. I must have run for an hour, before your ill grandfather on donkey-back caught up with me. I put you on the animal and from there we rushed you to Sima Samar. Moral: It takes a village to raise a child.